Concept, design and illustration for an editorial illustration using the parallax effect for an in-depth interview with Olivia Ahmad – Curator of the House of Illustration in London. Originally published as a featured interview on Illustrators Illustrated. Judith Carnaby: What has been your experience leading up to your role as Curator at the House of Illustration, and how you came to the role? Have you always had an interest in illustration? Olivia Ahmad: I studied illustration at the Cambridge School of Art and graduated in 2008. The course focused quite a lot on narrative and it turns out I am not very good at making up stories! But I became really interested in museum objects and collections as sources for narrative. I think I’d always thought that there was an objective truth about history, or even contemporary art and practice, but the more I looked the more I started to see that art and objects have different narratives around them at different times. I found these shifts of perspective really interesting, as well as the politics of what gets represented and what doesn’t, and the way the process of curating objects or artworks in a museum or gallery can be a creative endeavour. After my degree I did a sort of apprenticeship at some museums in the northeast of England, following which I did a Master of Arts in museum studies. From there, I started working in museums and galleries and eventually came to House of Illustration. Can you tell me about your role as Curator at the House of Illustration? What does it encompass? House of Illustration has a small staff team, so we all have quite a multifaceted role! I work closely with my colleague Katie Nairne (Exhibitions and Touring Officer). As we don’t have a collection, the focus of our work is our temporary exhibitions program. We have three spaces, where we have ten shows a year of varying scales, and we tour these to other galleries and universities too. It’s my job to think about what the exhibitions could be about, then to firm up those concepts, find the artworks, decide how to present them, and write about them. Alongside that I commission new work and look after our illustration residency. In a small organization you’re also doing everything from the budgeting to sometimes the painting of the galleries. When planning exhibitions at the HOI, do you start from a position of personal research and interest? Or do you work closely with others at the HOI, such as the Director, to develop the HOI exhibition schedule? The brief the House of Illustration has for all programs is celebrating illustration in all its forms, from all time periods – so it’s a pretty open brief… I’m really lucky that there is so much that can come under that heading. There are constraints sometimes because of practicalities: does the work for an exhibition idea exist? If so, where is it? House of Illustration’s Director, Colin McKenzie and I look at ideas together, shape concepts and agree on projects to take forward. In terms of curatorial direction, we are trying to tell a story with each exhibition that has either not been told before, hasn’t been told for a while, or hasn’t been told broadly or widely. A good example is an exhibition I curated called E.H. Shepard: An Illustrator’s War, which is about to travel to Huis Doorn in the Netherlands. Shepard is incredibly well known for his work on A.A. Milne’s Winnie-the-Pooh books, and is probably one of few illustrators that a lot of people know the name of. We did an exhibition about him, but it wasn’t about his children’s book illustration – it was about his reportage and editorial work from the First World War, which had never been seen by the public before. Working process is something I’m really interested in – the demystifying of a work. A printed book or a printed object can be quite alienating in some ways because it seems so finished; it seems like a human couldn’t possibly have done it. But of course an illustrator doesn’t get hit by a bolt of lightning and then an image comes out perfectly finished. I’m interested in the process of image making, but also the other ‘external’ things that influence an illustrator: if they work with an editor, if they work with an author – the back and forth. Yes! We’re about illustration in all its forms but we can’t show illustration in all its forms all the time – no gallery in the world would be big enough for that! But what we can do is show completely contrasting things so that you can get an idea of the dynamism of the field and a sense of the breadth of illustration. Maybe you’ll come to see illustrations for books – the kinds of things that one might traditionally associate with the practice of illustration – but you might also see a series of figurines by Laura Carlin, or a drawing machine made by Nous Vous – something completely different. It’s nice to have that dynamic relationship between the three spaces, and I hope it attracts people to come and see things that they wouldn’t perhaps otherwise. Alongside illustrators themselves, there are also fascinating roles in the more theoretical and educational side to illustration: illustration curators, collectors, patrons, teachers, illustration historians… What advice would you give to someone looking to develop their skills and interest in curation of illustration? I can really only speak from my experience in curating for public arts contexts, rather than on the commercial side—curating for selling work, for example, which is important and can be really good for illustrators and the industry. I say to illustrators and illustration students that illustrators make really good curators, because it’s all about storytelling and it’s visual communication. An exhibition is a little bit like a book: you have a visual sequence of things, and you reveal things at particular times. You think about how colour and text can contributes to how an image is ‘read’. I think it’s a similar storytelling process, just not drawing the pictures. It’s the only way I know! Exhibition design is a really important part of the process as well. Do you put a wall there so that you don’t see everything at once? When you enter a room do you see something that is big or particularly colorful, that has particular impact? When a work is really contemplative and you want people to look really closely at it, do you put the work on its own so that there’s plenty of space around it? There are all kinds of subtle and not-so-subtle ways that you can influence how a work is seen. But the starting point for me is always thinking about the ‘story’. Could you describe an exhibition as an example? Last year I did an exhibition about Soviet picture books which was an interesting challenge. It was drawing from an enormous collection of work from about the 1920s to the 1930s – immediately after the October Revolution of 1917. At that time, there was of course radical social and political change – there was also a massive surge in the number of picture books being produced for lots of different reasons. A lot of them were about political subjects and they might be seen as propaganda but I was keen not to focus specifically on that because though we often think of that time in terms of politics, it was also a time of free experimentation for graphic artists. So I divided the exhibition into themed sections, each with a selection of Soviet books relating to that theme. So there was a section on political picture books, but it was just one of many sections in the exhibition – contemporary fairy tales, animals, the natural world, and so on. At the beginning of the exhibition, I showed a selection of books made before the Revolution to try to explain some of the developments in art and literature that led to the explosion of picture book publishing after the revolution. It was in part influenced by politics, but also by the pre-revolutionary artists who experimenting with book making. I’m interested in the challenges you encounter in curating and exhibiting illustration. Most of the time, illustration is a tool for communication, and it’s necessarily based in a particular time, with a particular set of concerns that need to be communicated. But I often see illustration exhibited almost as decoration, without context, which can sometimes be an unfair way to assess a works’ impact or success. Illustration naturally has an aesthetic appeal and the unique visual language of an illustrator is a special thing, but I agree that great illustration also needs to communicate something specific, well- even if that’s a mood rather than a firm idea or instruction. When making an exhibition I think it’s usually best to keep the context of the illustrations you’re dealing with in mind – it helps you to understand them better, but I think makes things more interesting too. If something’s historic, or even if it’s contemporary, you can decode it and find out a lot of things about society’s concerns, about technology and economics. Is something black and white? Why? Is it because there was a recession at the time it was printed? The Soviet book exhibition I mentioned earlier was one where context was vital. To look at that work you really have to understand the period and ask questions like: Who’s publishing? What’s their motivation? How did they get paper and printing ink? Who was reading them? I suppose the challenge is where to start, or stop, because you can take one illustration and go right into it. You have to remind yourself what is relevant and what is not relevant to the story of your exhibition – which bits to keep in and leave out. Researching and presenting illustration work that is purely digital – illustration that was made for the web, or to only be experienced in digital spaces – must be challenging. Digital work is so prevalent, and is used in so many contexts… Instead of showing a book that people may recognize from their childhood, it could instead be an app, or an illustration in a digital magazine. In ten years from now the format that it was created in might be no longer accessible! Yes, it’s complicated! We show most often original works on paper, and I think there is still an idea that if something in an exhibition is not done by hand it’s not “real”. To me that distinction doesn’t quite make sense, because I think that digital tools are as valid as analogue tools, and I don’t see digitally produced work as of lesser value. I think the new creative opportunities offered by digital technology and our increasing use of digital interfaces is really exciting for illustrators. In our exhibition, ‘Comix Creatrix‘, we included a lot of work drawn with ink, but also a lot of digital prints, where the artist worked exclusively on screen. We took the raw files from the artists and printed them to their specifications. What was on display was the artist’s vision of the outcome and so I don’t find it problematic at all. I’m not necessarily interested in digital processes that are used because they expedite the process of making images, but I am really interested when people use digital tools to produce work that could only be made with digital tools—that’s the most interesting area of practice to me. Last year we commissioned illustrator Paddy Molloy to create an outdoor installation close to our building in King’s Cross. Paddy works with moving image for theatre and performance, as well as in print-based media. For us he created a piece called ‘Crossing Time’ – a large sculptural frame that had images projected onto it that referred to the history and current development happening in the surrounding area. When some walked up to the piece, it triggered a sensor that affected the images that were projected, creating a bespoke animated sequence for each person. You have co-curated a number of exhibitions, such as the Comix Creatrix exhibition co-curated with London comic journalist Paul Gravett, the retrospective of Ardizzone co-curated with art historian Alan Powers and this year a Jo Brocklehurst retrospective with Isabelle Bricknall. 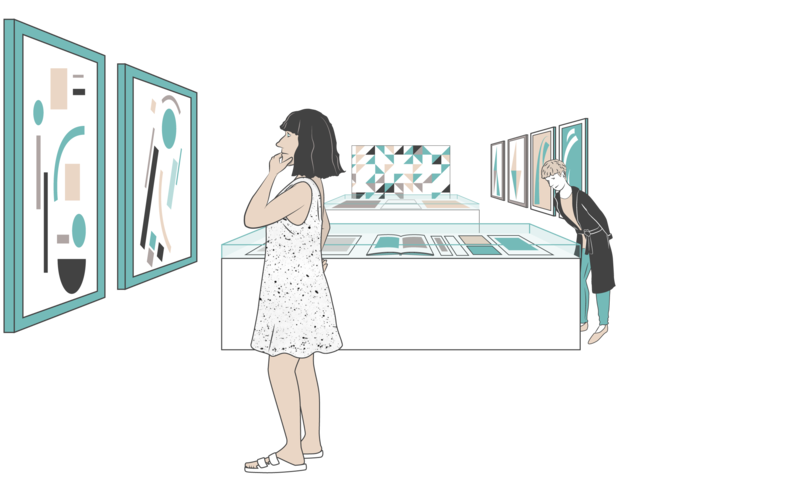 How have you found collaborating with others on curating exhibitions? Have there been any challenges, such as curatorial approaches, or differing expectations? It’s brilliant! It’s one of my favourite ways to work. I have one perspective, and it’s really important to collaborate with other people and have different ideas represented – particularly as House of Illustration is the only public gallery in the UK looking exclusively at illustration. We’re showing ten exhibitions a year and Katie and I can’t become an expert in every single subject area, so co-curating allows specific expertise to come in and influence the direction of things. Also, when you’re working with somebody else you interrogate your decisions more and you really think about what you want to do and why. As I mentioned earlier, curating is a creative process so another creative voice is so beneficial – maybe working with someone else pushes you in a direction you wouldn’t have thought of, or brings up ideas that you would never have considered before. You’ve had a few retrospectives, where the artists have passed away, as well shows of contemporary artists who are working now. Do you get the chance to work with or collaborate with the actual illustrators on the shows very much? What kind of input do they have in the design or staging of the exhibition? Yes – there are different kinds of shows, and ways to work. When we commission an illustrator, obviously we’re working together really closely. You can say, ‘I think this thing is interesting about your work, what if you developed something like this?’ And they say, ‘Well…’ If they like an idea they can take it and make it grow in ways that you wouldn’t expect, or come up with something totally different. And that’s the fun bit for me – giving illustrators that you’re working with space to make things that you wouldn’t expect to happen.. For example, a couple of years ago we had an exhibition about Mac Conner, who was working in New York doing advertising and magazine illustration in its heyday of the 1950s. His work is absolutely stunning, 1950s American lifestyle imagery. I wanted something to put on at the same time to rub up against that, because all those images are really fascinating but they present a really specific picture of American life, which is not representative of all that was happening for everyone in the 1950s and ’60s. I thought that it would be nice to have something that was a little bit provocative so I asked Hattie Stewart if she would create something new to show. I really like Hattie’s work because it’s cheeky; it pokes fun at our obsession with celebrity and the fashion industry, even though she’s quite often commissioned to work in those circles. So I said to her, ‘We’ve got this exhibition that’s about this very pristine view of life in the 1950s and your work challenges aspirational images now, would you like to show something?’. She made these enormous canvas wall hangings with blown up images of ad campaigns with Hattie’s drawing on top, patch-worked with these fabric paintings. I wasn’t expecting that, but I loved it! Thinking about a perhaps unsexier side of your work, how is the House of Illustration kept afloat? What sort of financial support or structures exist to make all of this possible? We don’t receive any public funding, but what’s great about House of Illustration is there’s an incredible amount of goodwill for it – lots of different kinds of people love illustration, there is a lot of support and enthusiasm for having a gallery for it, and so people donate to us, or become members of the gallery. We sometimes do partnerships with organizations that have a related interest, so that we can share costs and support each other. We charge entry to our exhibitions, and we have an independent book shop where we sell merchandise for our exhibitions, which is one of our most important income streams. We also hold charity auctions and make applications to trusts and foundations to support particular aspects of our work. Basically we have to find and earn funds on an ongoing basis. It’s not easy but it can be done! The House of Illustration includes outreach and educational activities alongside its gallery programme. What do you think are the social and educational opportunities and responsibilities for illustration curators or advocates? Education is a really important part of House of Illustration’s work. It is perhaps sometimes less visible to the general public than our exhibitions programme, but it’s really expansive and equally important. We have a twofold mission – to exhibit and explore illustration, and also to empower people to communicate visually. Our Head of Education, Emily Jost, does amazing work devising workshops and projects for people both in the Clore Studio at House of Illustration, and at schools and community hubs. Illustration is a very accessible art form in many ways, so there are great opportunities to engage people of all ages and abilities. There is also a universality about images – they enable people coming from different places to communicate with each other. This is something Emily and her team explore in their work. For example, they recently worked with primary school age children to write and illustrate a book about living in the UK that has been published for children of the same age arriving in the UK for the first time as refugees. Also, our education projects are always delivered by professional illustrators who are also educators – they ensure that the creative work that people do at House of Illustration is meaningful for them, and also that their outcomes –books, animated films, posters – are produced to a really high standard, which boosts confidence. An issue that I find very challenging in illustration is around diversity. As illustrators we help shape the way people see the world, and I often think about how we can include more diversity in our work. More fundamentally, I think how can we support a broader range of people to be come illustrators? To encourage more voices? And how can institutions, companies and clients support diversity? How do you see your role in this area? Yes, I don’t think the illustration sector is representative – though there is less information about that than there is about other creative fields and industries. I think a really good first step would be to undertake some research to build a picture of diversity in the sector now, so that we can see how far we need to go and at what particular stages there are barriers to illustration, and to who. The reasons for lack of diversity are really complex, and I think it will take a range of responses from illustrators, universities and related commercial and public organisations to address it. House of Illustration is really committed to diversity. Emily’s education team is a diverse group of professional illustrators, many of whom are either formally trained educators, or have been through gallery education training at House of Illustration. We actively promote our education opportunities to a range of different groups, and we seek funding to be able to offer creative opportunities to people who may not have access otherwise. 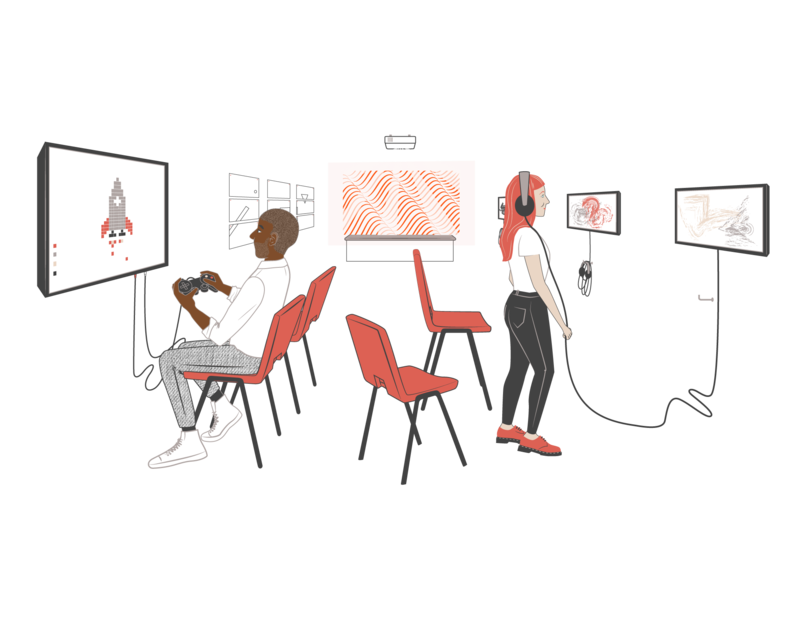 At the moment we are collaborating with Pop Up Projects on a programme of activity for young illustrators aged 16-24 that will see them create new work, and promote it to publishers and other industry professionals. We are sometimes asked to suggest illustrators for projects being run by other organisations, or to collaborate on commissioning illustrators. In those instances, we always put forward illustrators from a range of backgrounds, and projects are all the stronger for it. We also consider diversity when we are choosing artists and subjects for exhibitions – we actively seek artists that represent a range of perspectives. I’m particularly passionate about representing the achievements of women in illustration. Women are, I think, underrepresented in many illustration books, conferences and so on. One of the really exciting things about researching historic illustration is uncovering work by women who might have been forgotten or neglected unduly. Earlier this year we had the first retrospective exhibition by British-Sri Lankan artist Jo Brocklehurst, and we are currently showing work by African-American artist Jacqueline Ayer, an artist who I don’t think has ever been exhibited in the UK before [See this article in the Guardian]. There certainly aren’t many galleries exploring illustration like you are at the HOI, which seems strange as illustration is one of the most popular and accessible forms of visual art there is—it’s everywhere! How do you think critical investigation and presentation of illustration can be encouraged and developed? Before I worked at House of Illustration I worked with contemporary craft and design. For me, looking at the way that design history and critical thinking has developed in relatively recent times is a really helpful for thinking about illustration, because design has a similar sort of hybrid status: it’s part of our everyday lives but it’s part of a highly specialized industry, it’s creative and critical, but also applied. There are more and more curating design and design writing courses and I think graphic design and by extension, illustration, is becoming part of that discussion. I think it would be really great if elements of this type of discourse came more into illustration-related courses at universities. I quite often see illustrators describing part of their practice as ‘curatorship’ and so it would be interesting to see how conversations around that could develop in a less formal setting too. There has of course been an explosion in online journalism about illustration in the last few years, led by platforms like Its Nice That, and there are excellent magazines in print; Varoom, Eye and Creative Review. There are still relatively few books published about illustration – those that exist are often largely image based, or focused on one artist. But it does feel like there are growing opportunities to read about historic and contemporary work. 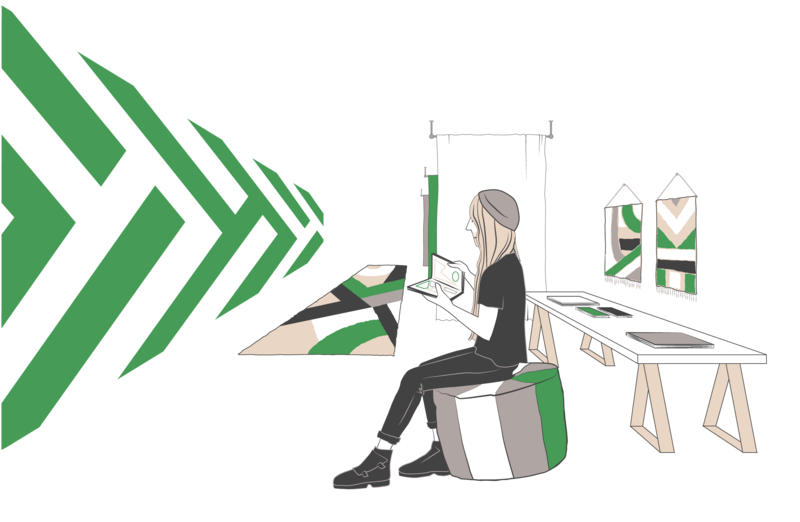 Conferences too, like OFFSET, ICON and Illustration Research network are giving people much-needed space to share ideas. There are other galleries – Seven Stories in the UK is a children’s book collection and museum. I think there are about 30 museums in Japan dedicated to picture books. In the U.S.A. you have the Eric Carle Museum, Museum of Illustration and the Norman Rockwell Museum. I think illustration is becoming more visible at design festivals too, and there are getting on for ten illustration festivals here in the UK now. It seems to me that it’s an exciting time when critical investigation into illustration is growing. But that being said, illustration is still seen as less significant than other forms of visual art, and so we need more exhibitions, books and debate to change that! See the HOI Website, Facebook and Twitter for more about the House of Illustration.